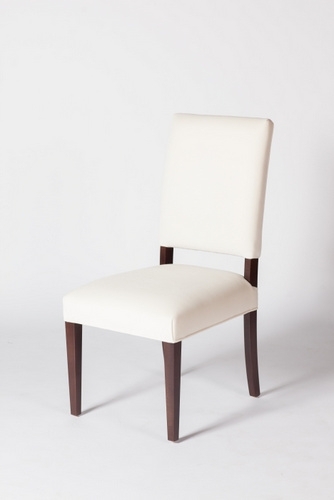 Whether your clients are hosting their next dinner party, or preparing for the holiday season, we offer a variety of quality bench made dining chairs that are as unique as the characters who will be sitting in them. As with all our custom furniture, it is the fabric selection made by you, the designer that allows our furniture’s personality to really shine. Here are a few of our new debut styles to consider design choices for. Open waist: The flirty 6102 chair is elegantly dressed in our GH Studio 001: Velvet. It features a tall back for maximum back support and comfort. The clean lines and lateral construction provide architectural appeal for a formal or contemporary dining room aesthetic. 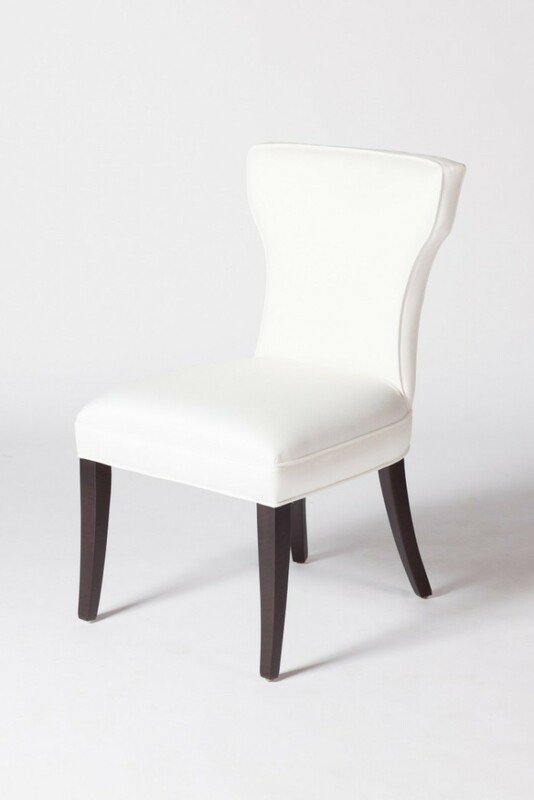 Scallop Back: Drawing inspiration from the classic Queen Anne back view, the 6198 dining chair is shown in our GH Studio 005: Harrison Col. Swift. This shabby chic compilation features a deep seat for maximum comfort and ease. The scallop back offers decorative appeal suited for any traditional or transitional dining room. Slip-covered: The 6052 parson’s chair is effortless and charming, upholstered in our GH studio Natural Linen: Our slipcovers are done beautifully and hand sewn to perfection. The versatility of a slipcover is a great idea to explore for seasonal transitions. 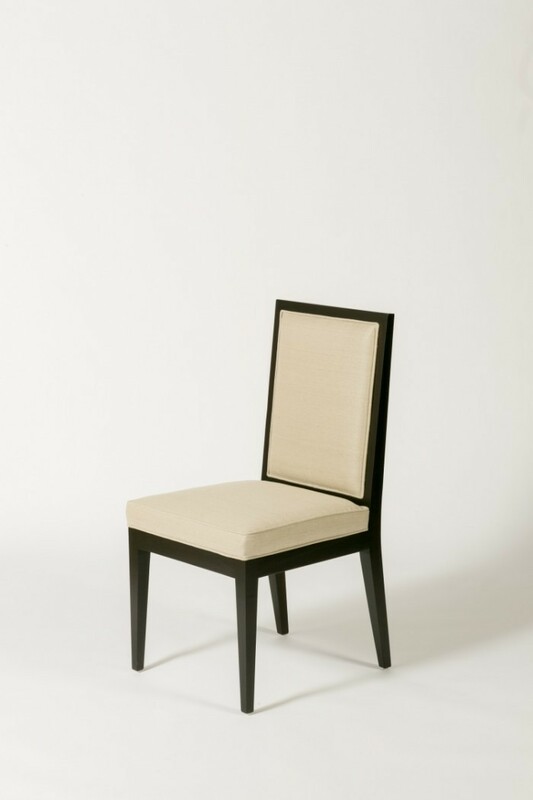 Arch Profile: The organic lines of the 6272 chair, shown in our GH studio 005: Blends Col. Pearl, emotes a calm elegance to any casual or formal dining space. The arch of the splayed back legs continues gracefully up towards the back of the chair to provide ultimate comfort and support along the upper back. 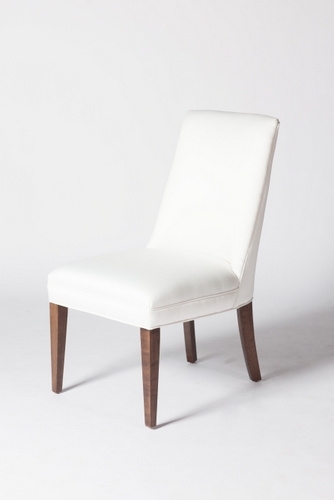 Curvy Comfort: The 7146-3 chair contours beautifully to give a relaxing sit. 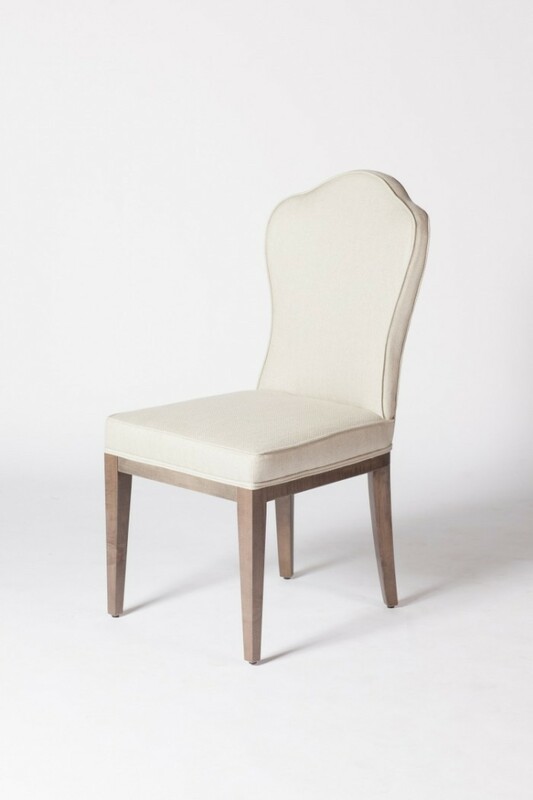 Shown in our GH studio 005: Blends Col. Pearl; the slight shimmer of the fabric elevates this chair to formal sophistication. The A line front view flatters any figure that sits on it. Handsome Showwood: The 6205 chair is strong, sturdy and reliable, not that our other chairs aren’t because we build our frames using the strongest wood possible, usually maple that is kiln dried in our Canadian climate so they won’t crack or break over time. 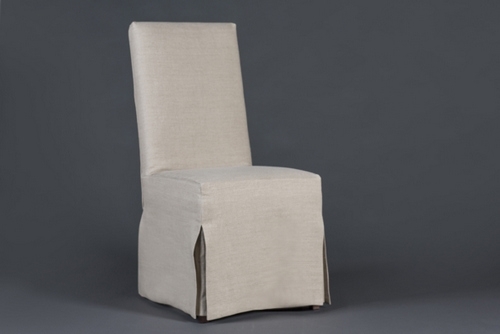 We upholstered this chair in our GH Studio Natural Linen Col. Sand to for its timeless appeal and durability that also compliment the dark java finish. If you haven’t visited our showroom lately, we've changed things up a bit, stop in for a visit to see what else is new. There are a great many ways to cheapen the way furniture is made. We do the opposite ... we build it to last.